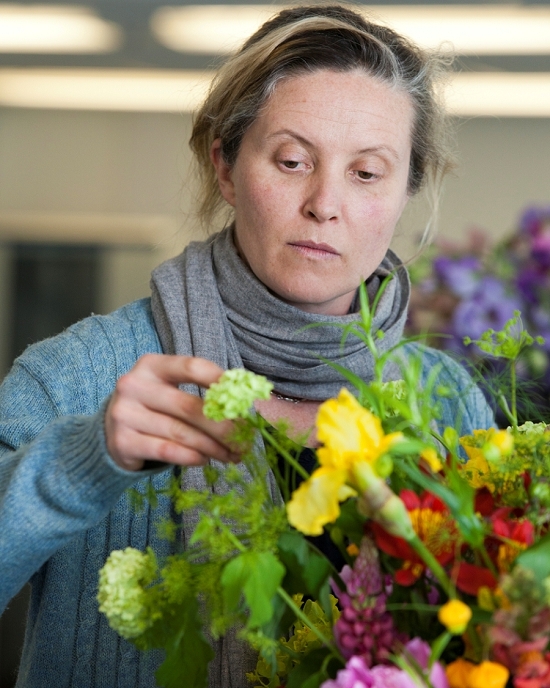 Vic Brotherson, founder of Scarlet & Violet, is a florist who loves her British flowers. Half her famous shop in London's Kensal Rise is dedicated to them in the summer months. But asked to pick her favourite British flower, the answer was instantaneous: the British peony. 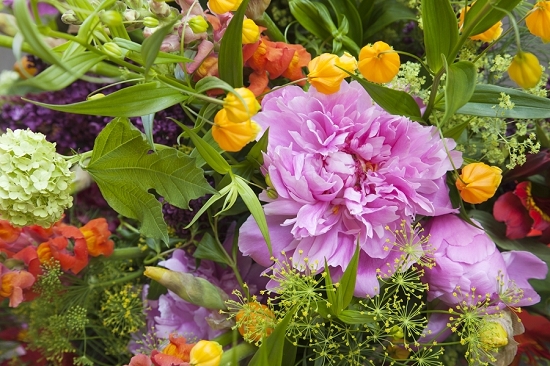 Why peonies? "Everyone loves peonies, don't they?!" asks Vic, a little astounded that one should even ask the question! "I love the soft, rounded shapes like viburnum opulus and hydrangeas. And peonies are such blousy flowers, and the scent is amazing." The trademark of a design by Scarlet & Violet is its loose, naturalistic quality, emphasising the natural beauty and inherent style of the flowers themselves. They have that freshly-picked-from-the-garden look that is an art in itself. Vic Brotherson takes that a step further by seeking out understated, quirky containers with an artist's eye, to add to the vintage feel of her designs. Note: This year’s flowering season was so late that Vic could only work with early season peonies for this photoshoot. Whilst still beautiful, early British peonies have smaller, softer flowerheads and need more care. 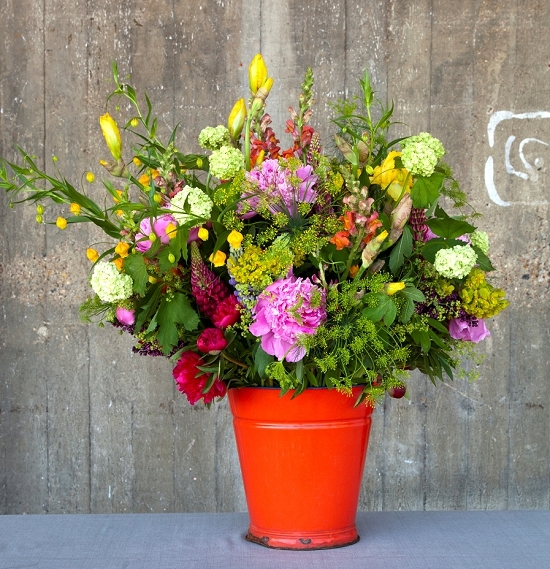 A vibrant red enamel jug is home to a joyous riot of vibrant, fragrant British-grown flowers. 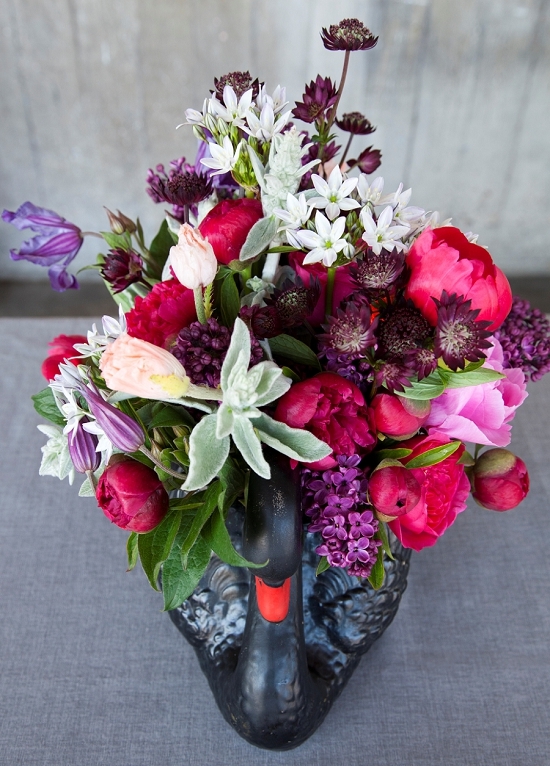 Ruby red British peonies and warm pink peonies jostle with cow parsley, irises, lupins, Guelder rose, snapdragons, bulpleurum, alchemilla mollis and lilac. 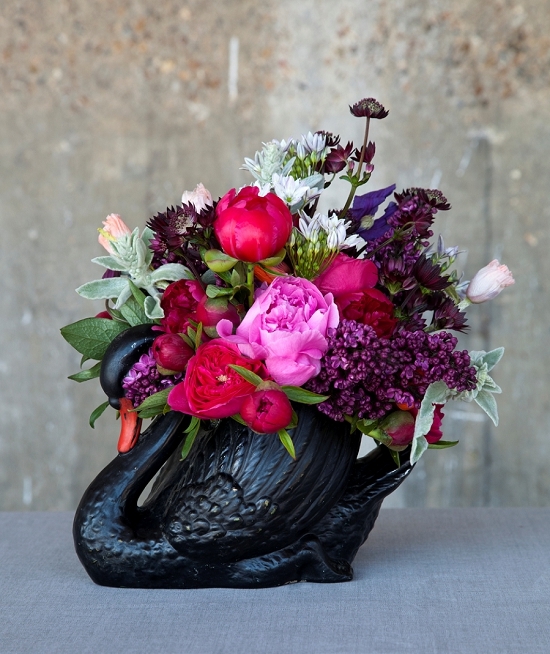 A vintage black swan vase is home to a stunning low arrangement of British peonies, astrantia, stachys, lilac, alliums, poppies and clematis. 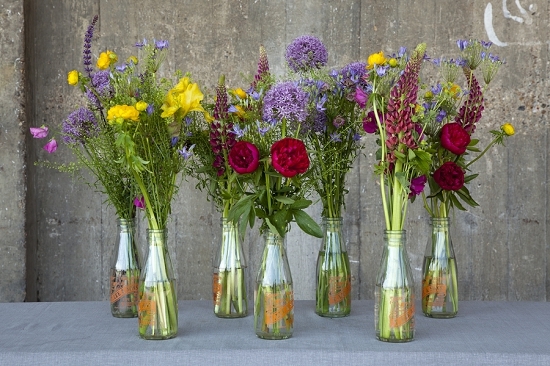 A collection of fragrant British flowers playfully arranged in simple English milk bottles filled with English peonies, lupins, alliums and sweet peas. 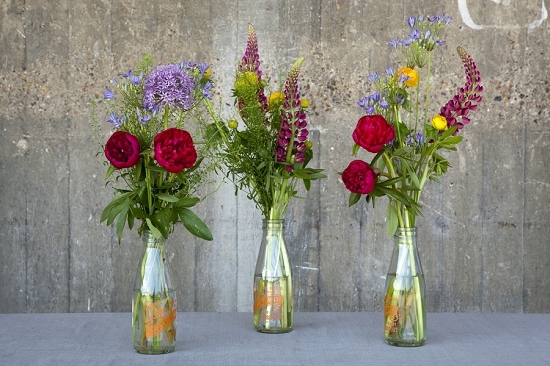 Perfect for a mantelpiece, a garden party table centre or your window sill.